Palmyre fibre trimmed to 2"
For playgrounds, driveways, pavement and parking lots. 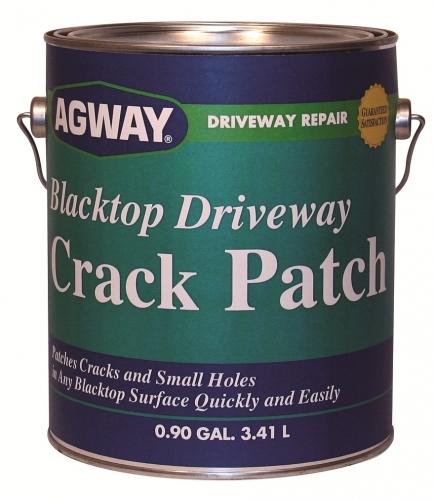 For the repair of masonry and bituminous paving cracks or any other place where paving faults require a durable elastic seal. Ready for traffic 24 hours after application. 3/16" bead covers 56 linear feet. 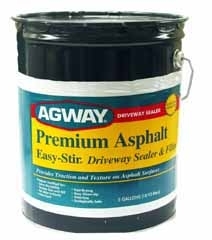 Agway Premium Asphalt Easy-Stir Driveway Sealer and Filler is a highly developed combination of finely graded aggregates and polymer modified mineral colloid asphalt emulsion. The blend of fillers and polymer modified emulsion is formulated for easy-to-set. 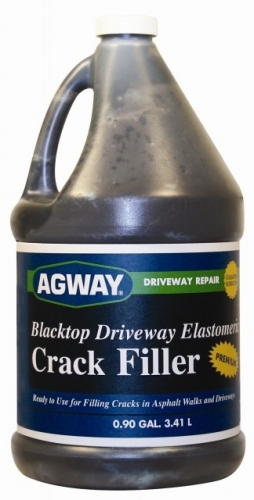 Agway Hi-Traction Driveway Sealer and Filler fills, smoothes, preserves and protects weathered and cracked asphalt driveways and blacktop surfaces. The latex provides better flexibility, adhesion and durability. 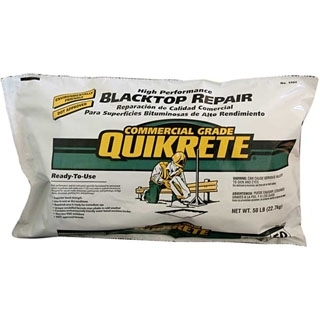 A finely graded aggregate has been added to fill cracks up to 1/8 inch wide as well as minor depressions and holes, while providing a slip resistant finish. 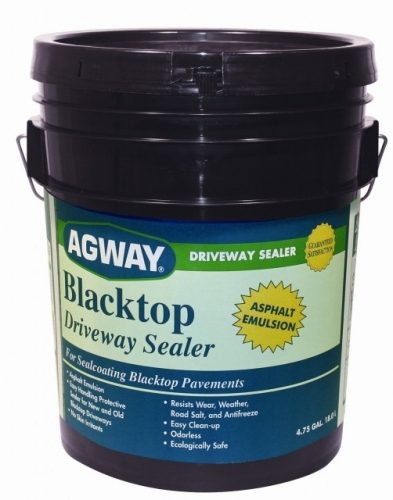 AGWAY Hi-Traction Driveway Sealer and Filler is gas and oil resistant and protects asphalt surfaces against further weathering. 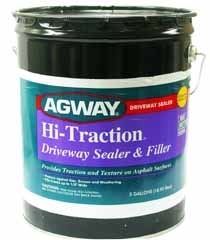 Agway Hi-Traction Driveway Sealer and Filler dries to the touch in 4-8 hours and is traffic ready in 24 hours under normal conditions. 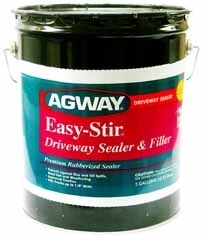 Agway Easy-Stir Driveway Sealer and Filler is gas and oil resistant and protects asphalt surfaces against further weathering. The latex provides better flexibility, adhesion and durability. A finely graded aggregate has been added to fill cracks up to 1/8 in. 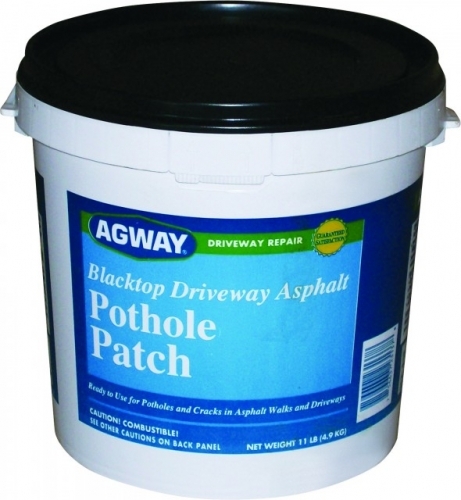 Agway Asphalt Driveway Sealer is an easy handling protective sealer for new and old blacktop driveways. Resists wear, weather, road salt and antifreeze. No skin irritants, Easy clean up, odorless and ecologically safe.